After deadly violence erupted during protests in Tahrir Square, Egypt last year, leaving 50 protestors dead, the military ordered walls be built around the heart of where the political activities occurred. 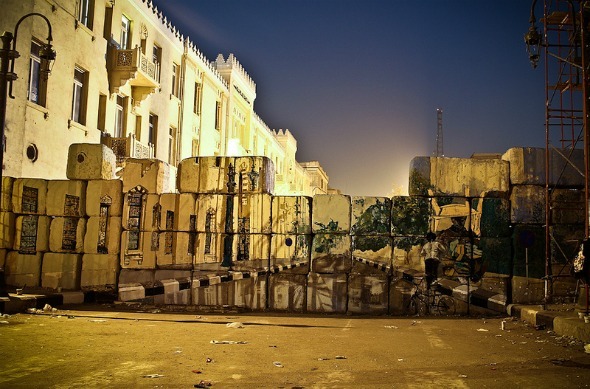 Now Downtown Cairo locals must wander through a maze of barriers just to get around their own neighborhoods. 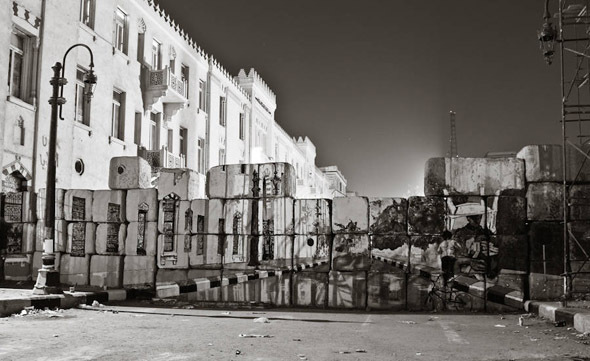 To fight the barriers, Egyptian graffiti artists arranged a “No Walls” protest where they painted the walls with murals depicting the street hidden behind the blockades. Almost every wall in the area was painted with a mural like this one. Flickr user Mosa’aberising took photos of an achievement that took the dedicated artists over three days to complete. The result is a cool illusion with a powerful political message. Wall PROTESTS–> W O W !!! <– Too pleasing to be a protest… However, if they'd painted a WAR ZONE… That'd BE a PROTEST Message! Very well done on their part. I agree…tear down the wall and a very nice way for the artisis to make such an important statement. Was not Berlin enough?? At the risk of sounding ignorant (if this was done at the time) but it would have been good use of the Berlin wall. And optical illusions and politics do mix! michael… o.O You DO realize what YEAR the Berlin Wall came down? Do you? Gods I hope you do. Some Egyptians are probably better educated than you on history. TOO pleasing to the eye for a PROTEST MESSAGE! Perhaps a WAR ZONE image would’ve made a statement of Protest! IT IS ABSOLUTELY BEAUTIFUL tho!